In replacing a 1916 clubhouse that held nostalgic value for members but lacked operational efficiency, NBA was careful to identify and preserve sentimental artifacts. Importantly, the new clubhouse was constructed immediately behind the existing one, allowing members to continue using the old clubhouse throughout the construction phase. Light and airy, the new structure retains a warm, clubby atmosphere. Three meeting-dining rooms are separated by soundproof partitions designed to look permanent when in place. 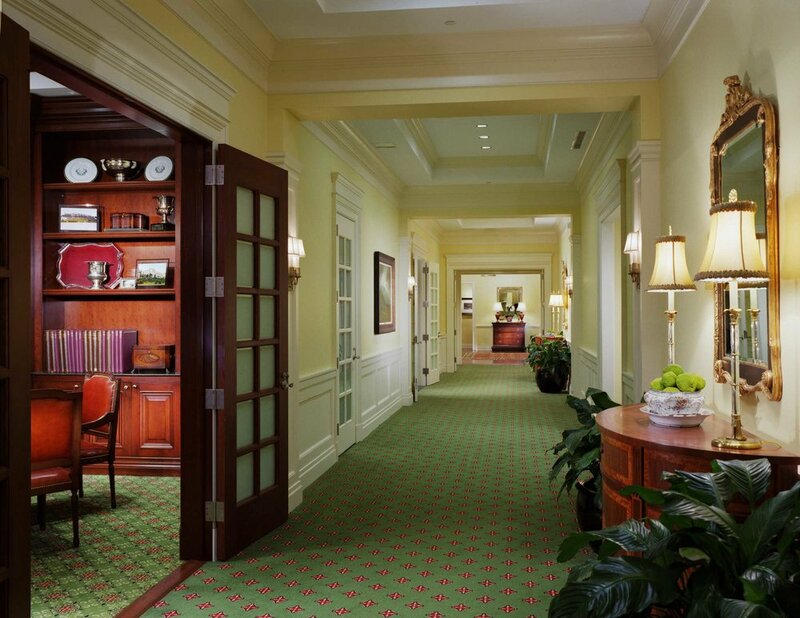 This layout, along with distinctive décor for each room, gives the club a residential atmosphere.